Update #3 : ORDERING PERIOD IS NOW OVER AS OF MAY 12th 2011.
flying petals is back again with a new fan project! This time she will be printing a photobook featuring our Kid Leader, Taeyeon. Good news is that this photobook will be available to Korean and international S♥NES. Again, a special gift will be included, though what it is remains a secret. Shipping Period: During May, after the ordering period has closed. -If you want to buy more than 10 books, email petals0309@naver.com letting her know where you live and how many books you want to buy. -Check “Personal” for payment options and then “Others”. Order Form: Kindly note that the order form is to be emailed to petalssss@naver.com only after the PayPal payment has been completed and not before. 1. 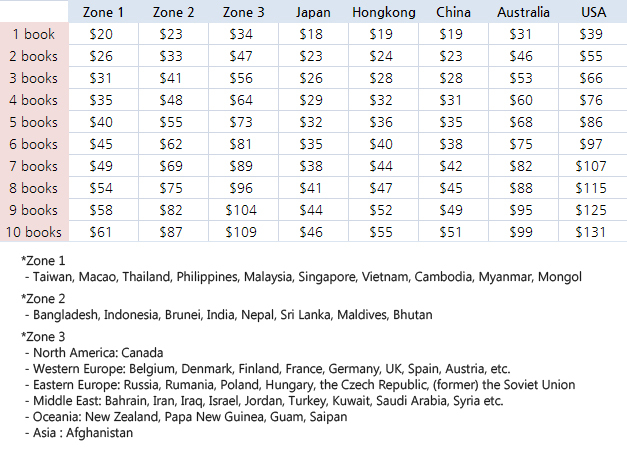 The total amount payable for 1 set is USD $32 + shipping (varies according to location). For multiple sets, kindly contact flying_petals before conducting the payment. 2. Proceed with payment via PayPal. 3. Send an email to petalssss@naver.com with the completed order form. Hi.. Had any1 receive their photobook? They are nt replying 2 email and tweet.. I should file a dispute on paypal..
Do you know anyone that can help me to resolve my situation? I am missing 160 stickers and 5 DVD sets. I’m quite shocked at how FP is handling your issue.. ><"
Thank you so much, I will give that a try. I think they are not being responsible here.. before the order was closed. i ask if tracking would be provided since its EMS and they say they would provide it.. and i saw the tweet on 20th? that it was suppose to ship on 27th. so i email/tweet them my info asking for tracking code.. and they had yet to reply.. I know that EMS should be safe.. but i cant possible stay @ home everyday to wait for the package..
unfortunately it is so. tracking number info isn’t often released. Flying Petals’ primary priority (as well as fansites et al) is ensuring a guaranteed delivery. To them, updating each shipment with its individual tracking is a secondary service they can afford to promise & break the same. In paying for EMS, us buyers are paying for 3 things: speed, safety & tracking. That’s the norm expected with conventional sites as eBay, GMarket, CDJapan, the likes. Still, when we pay for EMS for fan projects as these, we’re merely paying for its speed & safety, minus tracking. The tracking component is something of an afterthought to them as they operate things pragmatically – just wishing to see parcels shipped expeditiously without its collateral administrative hassle. ok i guess i wait awhile more.. If someone had receive their photobook plz post here. To anyone concerned about shipping, on a normal basis tracking numbers will not be provided. But if your product happens to experience a delay in arrival or not delivered,then they can use the number to investigate.Not to worry flying petals is very reliable from the previous projects and he will deliver it right to your door in perfect condition alright! wow where are u from? I hope to receive it soon.. Thanks. hopefully courier man pop by my house later..
another friend of mine order 20 and only receive 10photobook… Had email them countless times but they did not even reply even once..
Could anyone help me to contact them? Apparently no one has received their books yet. You can either email them, or continue to wait. I know of some who are planning to file a Paypal dispute claim, so that will be another alternative. My friend had gotten the photobook but the wrong quantity. He ordered 20book but receive 10Photobooks only. I and Him tried emailing but no response… so I getting worry.. since i pay around $500+ for 10books..
We bought 160 books for Taiwan Sone and so far have not received any. Our email gets no response too. I guess we can only Patiently wait for it. I guess they finish sending it to all the Korean Fans already (first week after May 27th). Now they are starting to send to Oversea Fans (second week after May 27th). :] i think they’ve just started to send to oversea fans. It just tiresome for me to explain to others when they keep seeing books pop up on ebay or local Taiwan stores who got their books in Korea. I think you are correct as I just check the send date on the post is actually 04/06/2011. Addressing to all! flyingpetals is highly trustable dont worry! As for the mistaken quantity of 10 instead of 20, I believe petals have done it to prevent your friend from being taxed! purchases above 400$ will be taxed based on the laws of the singapore government! hope tha helps! I have not recieved mine yet but lets all be patient! Has flyingpetals always taken this long to ship stuff? Just receive an email from Flying petals.. I do apologize for the delay in my response. I’m afraid there’d been a mistake in a shipping process. but, it was checked, your oreder has been shipped well. again, i’m very sorry about the inconvenience. I got my 160 books, and 4 out 5 gifts on Friday. I am missing 160 stickers. Not sure what to do now, since I have not gotten any reply from my emails. I am from Taiwan by the way. Is it possible to get this still? I am very disappointed by Flying Petals inefficiency. I ordered 160 books and was one of the last one to get it in Taiwan. They also forgot to pack any stickers for me. I send many email and finally got 1 reply say wait for few days, it has been 10 days since that email so far and still nothing. I also ordered 5 sets of DVD and still have not gotten it. I am not sure if other people’s book came bubble wrapped, my is not so some have gotten dented too. I just wish they would at least reply some I can tell people what is going on. My friend had yet to receive his Photobook too.. Anyone from singapore want to buy? Hi, do u still have this photobook? So now is only at $32 dollar? Is there any way I could buy a new set, preferably from flying petal? I tried to access their site, but it shows up all cracked, most likely because I don’t have Korean install on my computer.